Lost in the Kent near-suburbs of the London Borough of Bromley, Beckenham (near the Surrey borders) is a small post town that boasted not only Peter Frampton and David Sylvian but also, perhaps more importantly, the star-man David Bowie. Born David Robert Jones, Bowie was born in Brixton, South London but his family moved to the leafy community of Beckenham in 1955. He went to school at Burnt Ash. Failing his eleven plus exam at the conclusion of his Burnt Ash Junior education, Bowie joined Bromley Technical High School where he studied art, music and design. At about this time, his half-brother Terry Burns introduced him to modern jazz. Soon afterwards his mother brought him a saxophone which he learnt to play. His friend (later, album cover artist) George Underwood punched him in the face at Bromley Tech ( a fight over a girl) which left him with a paralyzed left pupil and gave his face that distinctive mismatched appearance which the world would come to recognize. 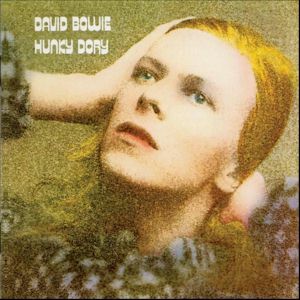 Bowie originally went by the name of Davy Jones (or sometimes Davie) but changed his moniker to David Bowie (after the success of the Monkees who already had a famous Davy Jones) which is an amalgam of concepts from pop, psychedelia and music hall. The name became his fortune and his alter-ego. A regular musician in Croydon and in Surrey towns, Bowie was to begin his metamorphosis into a real rock star at the Toby Jug pub in Tolworth on February 10, 1972. Dressed in his fabulous costume, with hair dyed red, Bowie launched his Ziggy Stardust stage show with the Spiders from Mars including Ronson, Bolder and Woodmansey. The rest, as they say, is music history. On 10 January 2016, two days after his birthday, the Beckenham boy died from cancer. He was 69.